Luxury Salon Skin Care Just Got Affordable The Mello LED Therapy Mask is the optimal skin care experience for your face. The combination of LED light programs provides effective treatment for a vast range of common skin problems. 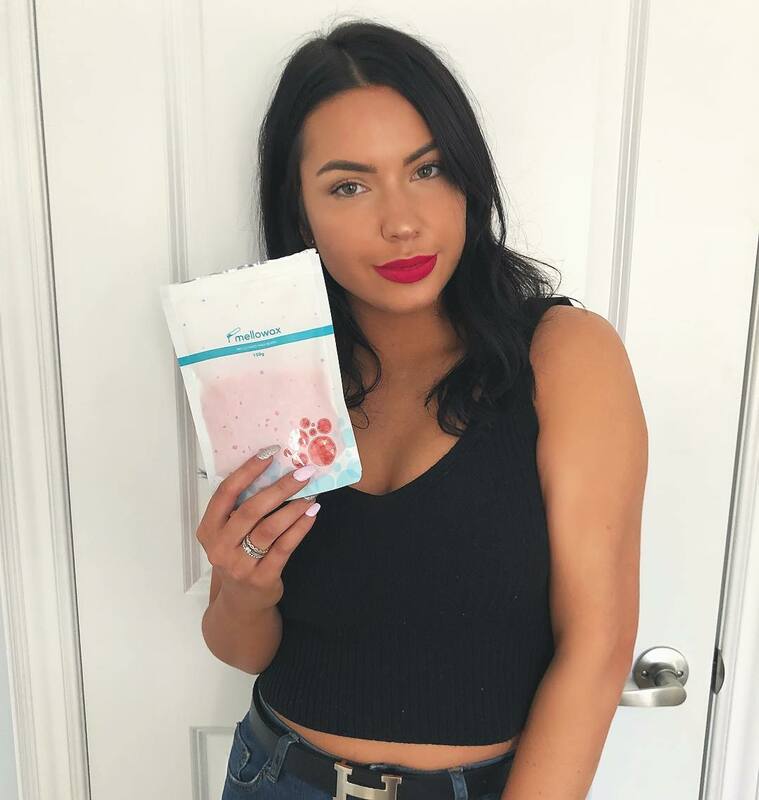 The versatility of the mask works by exposing the skin to 7 clinically proven wavelengths of light, delivered at a safe therapeutic dose, to combat visible signs of aging, hyperpigmentation, minimize scars, killing acne bacteria, and more. 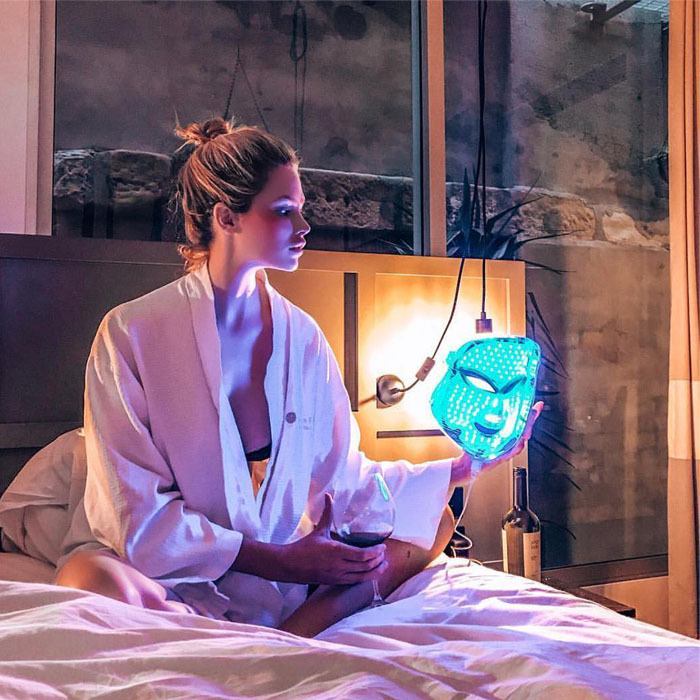 Bring expensive salon technology to the comfort of your own home and experience Mello's LED Therapy Mask work miracles on your skin. 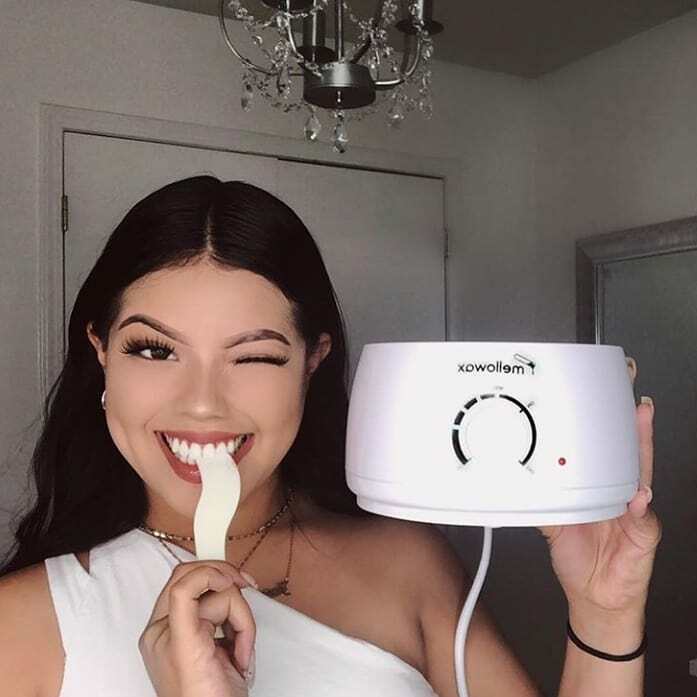 What is the Mello LED Mask and how does it work?What is the Effects of LED On The Skin?Do LED facials really work?Are there any side effects & is this treatment safe?Is the treatment abrasive or painful?How often should the mask be used?How soon are results visible?What's the difference between this and in-salon?Should I avoid the sun after a treatment session? 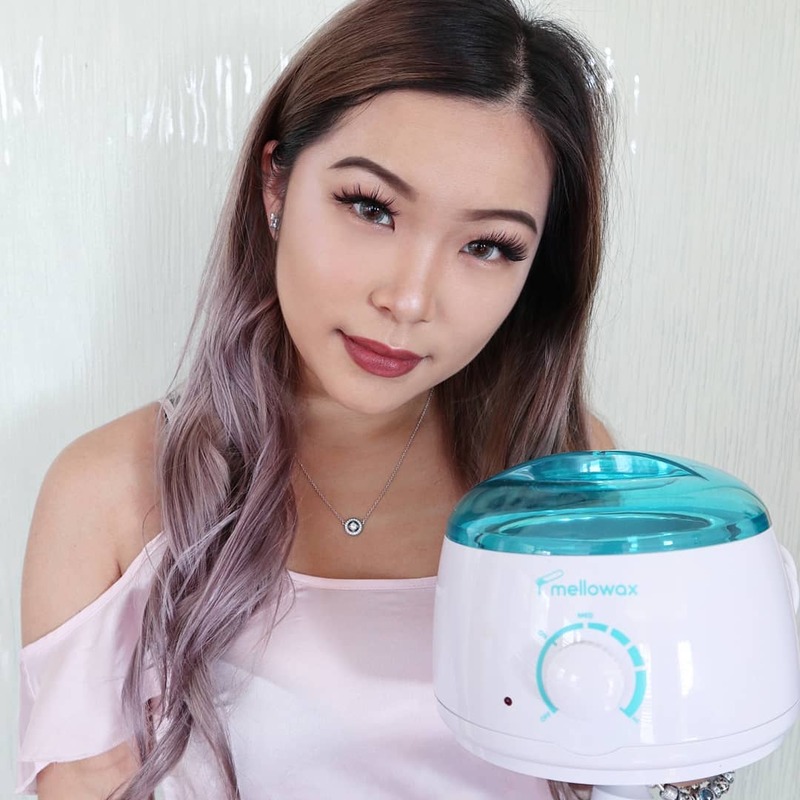 The Mello LED Mask is the ultimate skin care experience for the face. The combination of LED light programs provides effective treatment for a wide range of skin problems. LED light therapy works by activating deep within cells to boost metabolism. After the light is absorbed into the skin, light energy is converted into intracellular energy which relaxes and strengthens capillaries, while increasing cell activity. Depending on which wavelength is being used, light therapy will increase collagen production & cell renewal, diminish fine lines & wrinkles, reduce pigmentation & even skin tone, shrink large pores & smooth skin texture, kill acne causing bacteria, and minimize scarring. LED light therapy was originally developed in the medical setting for fast-tracking the healing of wounds and post surgery scars, as well as other various skin conditions. The rejuvenation of healthy skin, too, was a pleasant coincidence. For these reasons, light therapy became a popular treatment method by dermatologists and beauty practitioners worldwide. 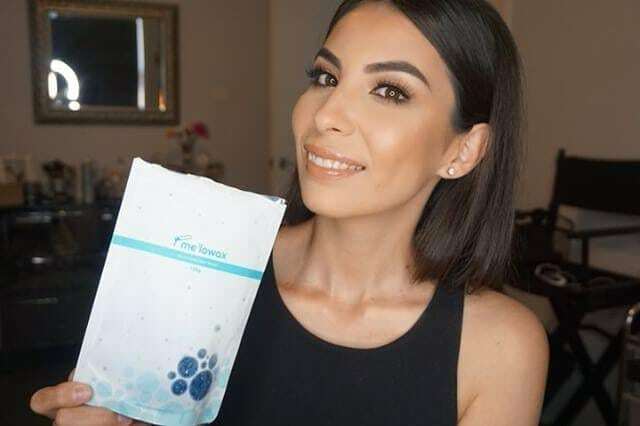 This technology has been tested in many clinical studies (scientific, medical & independent) and is FDA approved for at home usage. Studies conducted using LED for acne and anti-aging showed significant improvement for both. This treatment has no adverse reactions. LEDs do not emit UV light, so there is no risk of sunburn or skin cancer. It is the only aesthetic device that has no contra-indications of any kind. It is good for all skin types, colors, and many conditions. LED devices are classified by the FDA as possessing “non-significant risk”; they are safe and possess no possibility of harm from over-exposure. Light therapy is a gentle, painless, non-invasive and non-abrasive treatment. You'll have no down time after each treatment. Maintenance treatments and a good home skin care routine are necessary if you want your results to last. 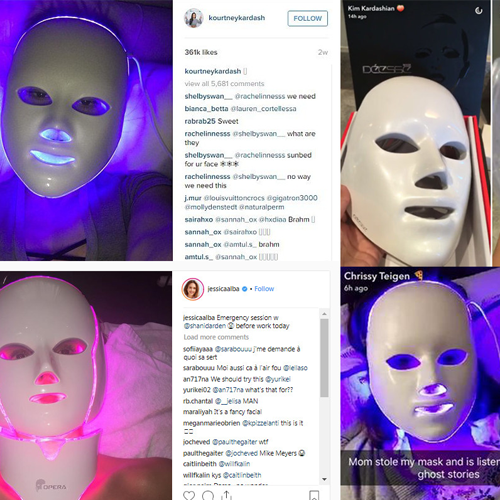 We recommend using the LED mask daily for optimal results and a maximum usage of 30 minutes a day, 3-4 times a week. Treatment sessions can be divided accordingly with different lights. Depending on the severity of your skin, personal skin type will determine how long results will take, however, many users see a difference after the very first treatment. It will be smoother, plumper and have a naturally radiant glow. However, since the device is essentially stimulating the body’s natural healing mechanisms, the most visible results are not immediate. Instead, results occur gradually over several weeks. Between 3-5 treatments will be needed for you to see long lasting results on those areas that are being treated. With each treatment you will see improvement. Very little. 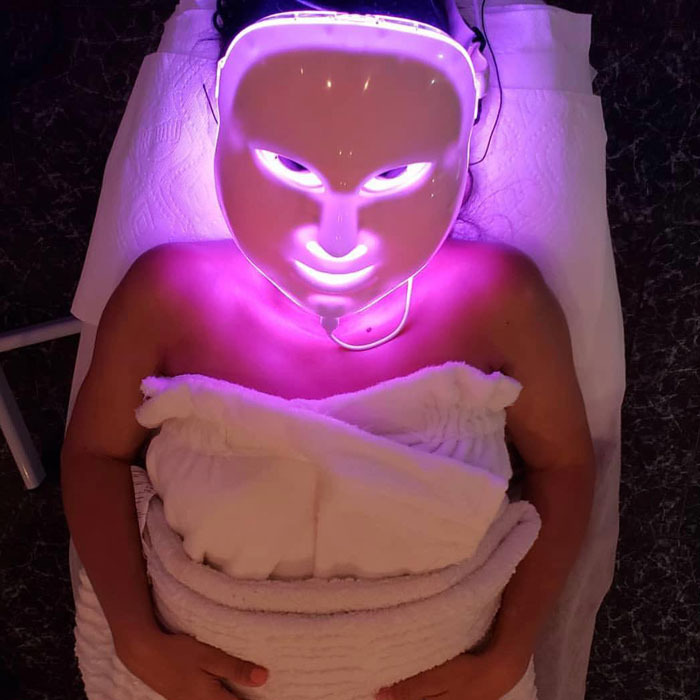 All LED technology will differ slightly in the specific wavelengths and strength of light emitted, but, the effects will mostly be the same.The light emitted by in-salon devices is the same light emitted by the Mello LED mask as we also use medical grade LED lights. 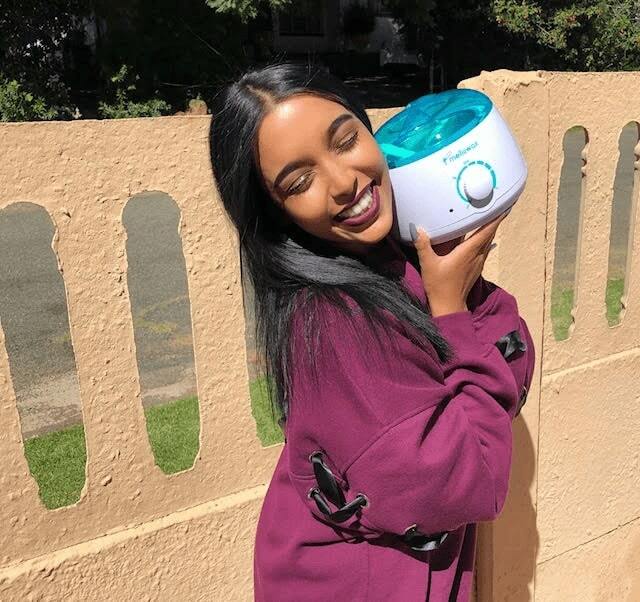 Mello just gives you the freedom to complete your treatments on a more regular basis, in the comfort of your own home. Color light therapy does not increase your sensitivity to sunlight. However, if you are going into the sun, it is important to always apply sunscreen.